Notes from Ladysmock Cottage: Asparagus with Tarragon, Chive and Mustard Dressing. 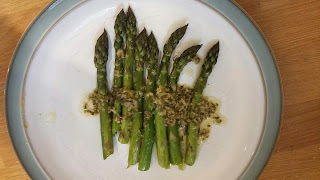 Asparagus with Tarragon, Chive and Mustard Dressing. 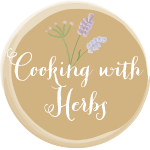 Warm some good quality oil in a sauce pan and add a squeeze of lemon. Add finely chopped chives, tarragon and a teaspoon of good mustard. Keep warn while you cook the asparagus and spoon over the top before serving.